While the execution of wills requires formalities like witnesses and a notary, the reality is that most property passes to heirs through other, less formal means. All of these types of ownership and beneficiary designations permit these accounts and types of property to avoid probate, meaning that they will not be governed by the terms of a will. When taking advantage of these simplified procedures, owners need to be sure that the decisions they make are consistent with their overall estate planning. It's not unusual to see a will that directs that the decedent's estate be equally divided among her children, but to find that through joint accounts or beneficiary designations the estate is distributed totally unequally, or even to non-family members, such as new boyfriends and girlfriends. It's also important to review beneficiary designations every few years to make sure that they are still correct. An out-of-date designation may leave property to an ex-spouse, to ex-girlfriends or -boyfriends, and to people who died before the owner. All of these can thoroughly undermine an estate plan and leave a legacy of resentment that most people would prefer to avoid. These concerns are heightened when dealing with retirement plans, whether IRAs, SEPs or 401(k) plans, because the choice of beneficiary can have significant tax implications. These types of retirement plans benefit from deferred taxation in that the income deposited into them as well as the earnings on the investments are not taxed until the funds are withdrawn. In addition, owners may withdraw funds based more or less on their life expectancy, so the younger the owner the smaller the annual required distribution. Further, in most cases, withdrawals do not have to begin until after the owner reaches age 70 1/2. However, this is not always the case for inherited IRAs. Name your spouse, usually. Surviving husbands and wives may roll over retirement plans inherited from their spouses into their own plans. This means that they can defer withdrawals until after they reach age 70 1/2 and take minimum distributions based on their age. Non-spouses of retirement plans must begin taking distributions immediately, though they can base them on their own presumably younger ages. He or she is incapacitated and can't manage the account. Doing so would add to his or her taxable estate. You are in a second marriage and want the investments to benefit your first family. Your children need the money more than your spouse. Consider a trust. In a number of the above circumstances, a trust can solve the problem, providing for management in the case of an incapacitated spouse, permitting assets to benefit a surviving spouse while being preserved for the next generation, and providing estate tax planning opportunities. Those in first marriages may want to name their spouse as the primary beneficiary and a trust as the secondary, or contingent, beneficiary. This permits the surviving spouse, or his agent if he's incapacitated, to refuse some or all of the inheritance through a “disclaimer” so it will pass to the trust. Known as “post mortem” estate planning, this approach permits flexibility to respond to “facts on the ground” after the death of the first spouse. But check the trust. Most trusts are not designed to accept retirement fund assets. If they are missing key provisions, they might not be treated as “designated beneficiaries” for retirement plan purposes. 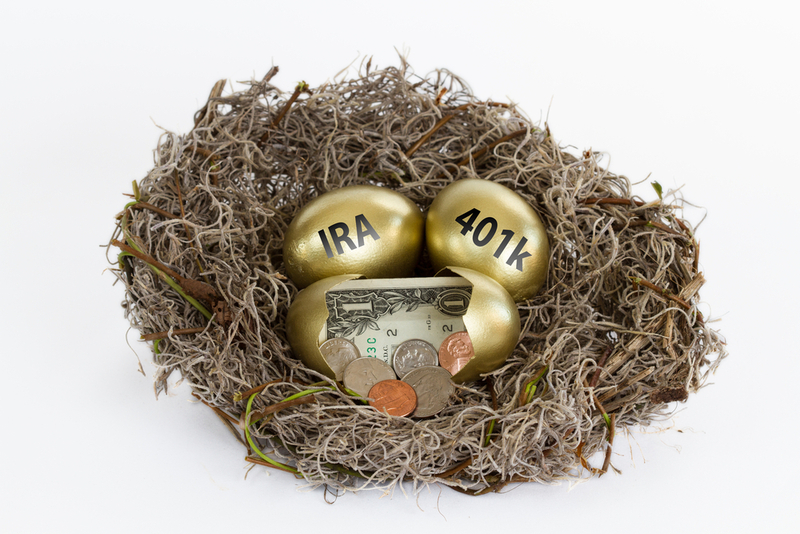 In such cases, rather than being able to stretch out distributions during the beneficiary's lifetime, the IRA or 401(k) will have to be liquidated within five years of the decedent's death, resulting in accelerated taxation.